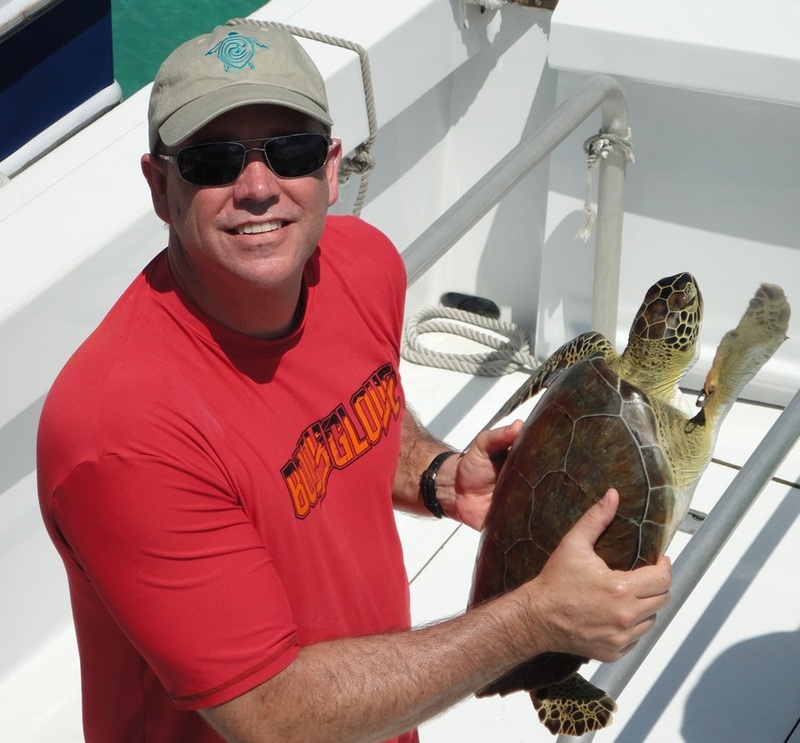 Sea Turtle Conservancy Director, David Godfrey, with a sea turtle. 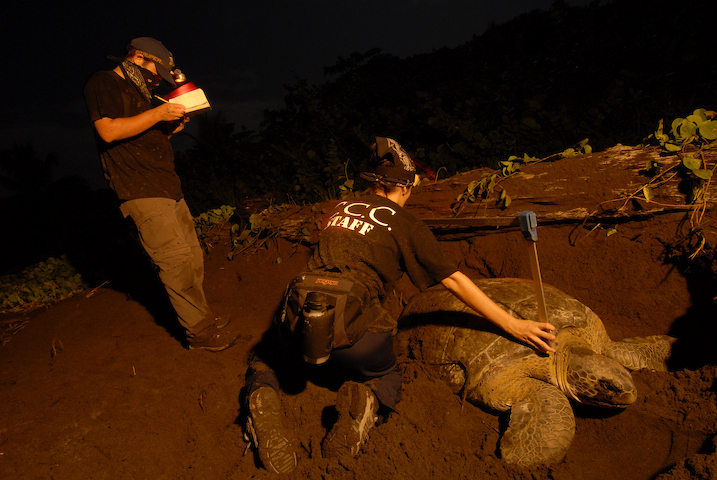 Transmitters are glued on, and after 8-10 months, the transmitters quit working and fall safely off the turtle. These transmitters can be retrieved and reused. 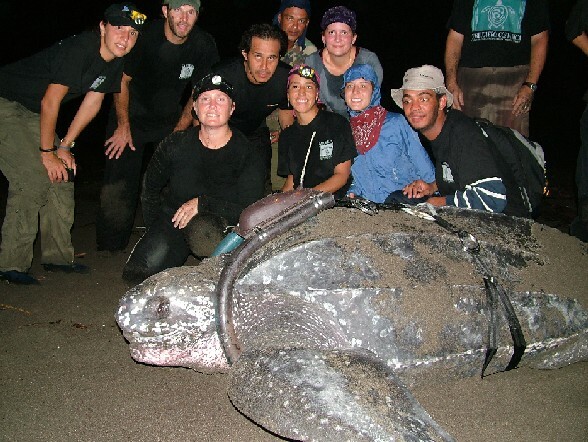 Sea Turtle Conservancy employees and volunteers do the great work that furthers our understanding of sea turtle ecology. 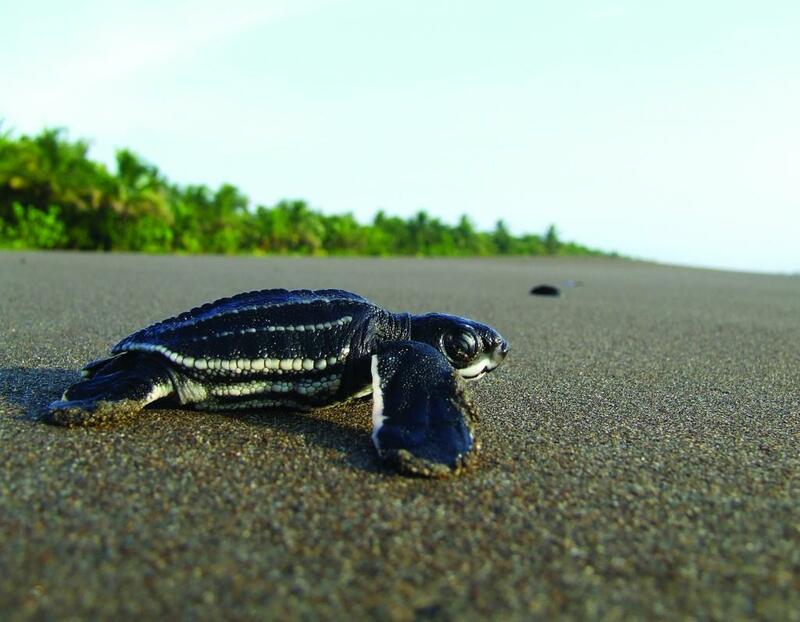 Kemp's ridley sea turtles are listed as Endangered (in danger of extinction within the foreseeable future) under the U.S. Federal Endangered Species Act. The endangered green sea turtle inhabits tropical and subtropical coastal waters throughout the world and is named for the greenish color of its skin. 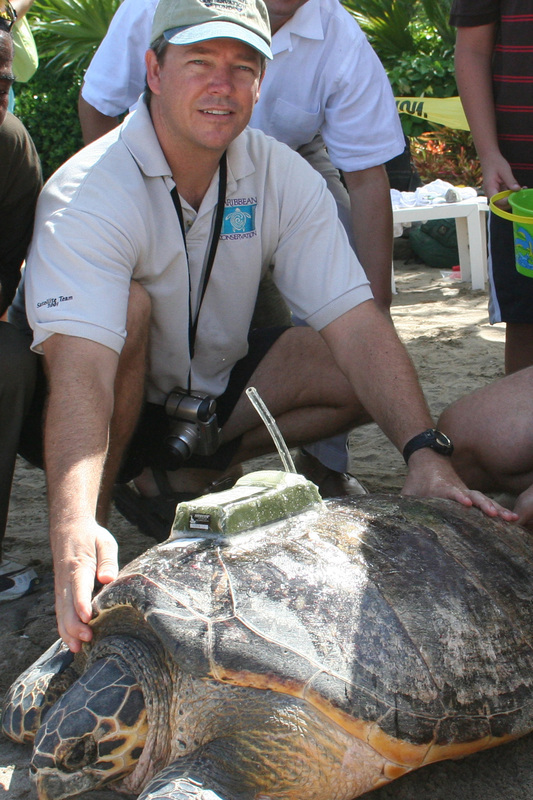 Green turtles can measure up to 5 feet in length and weigh up to 700 pounds, making them among the largest in the world. These extraordinary prehistoric creatures are one of the few species so ancient that they watched dinosaurs evolve and become extinct, but they, themselves, are now endangered. 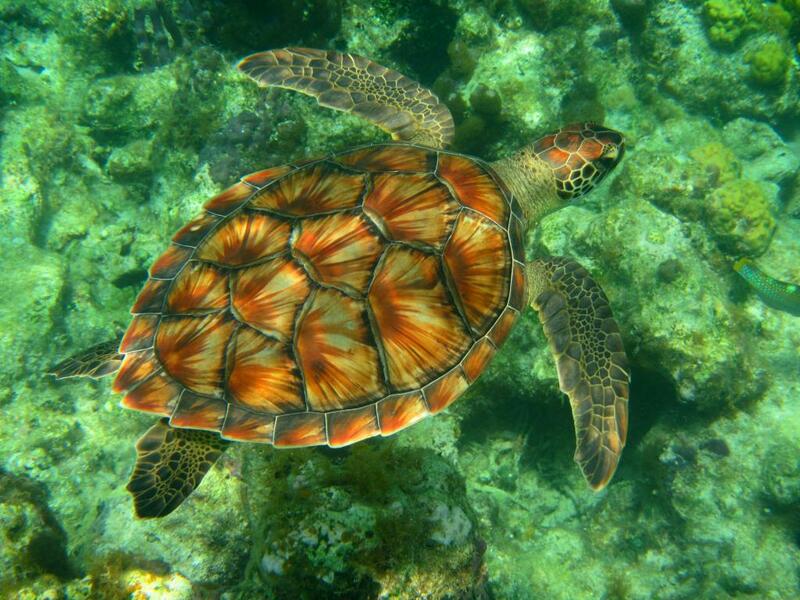 Did you know that like other sea turtles, the green turtle cannot pull its head into its shell? Photo: Julie Suess. 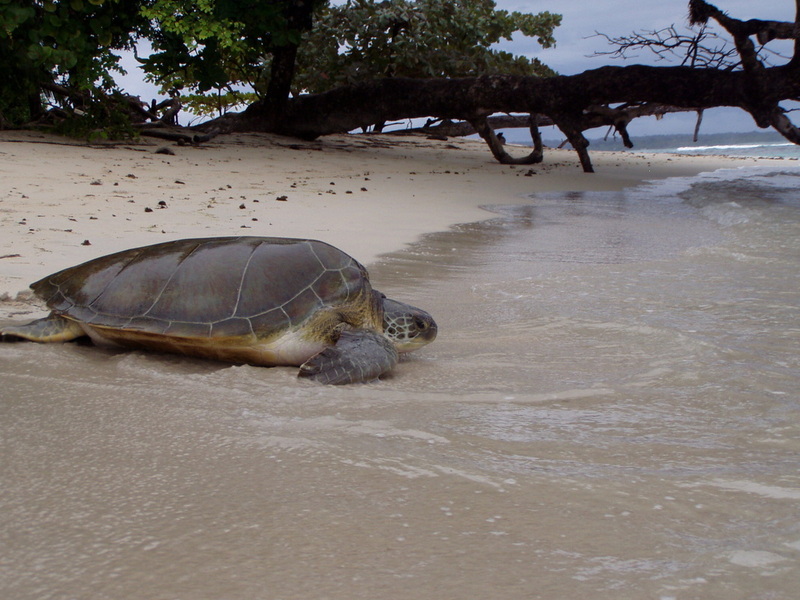 A green sea turtle returns from nesting on a natural beach.